I may have started with more traditional cooking but in the last few years I have loved pushing the envelope and combining ingredients that would create an unfamiliar but surprisingly exquisite flavor. 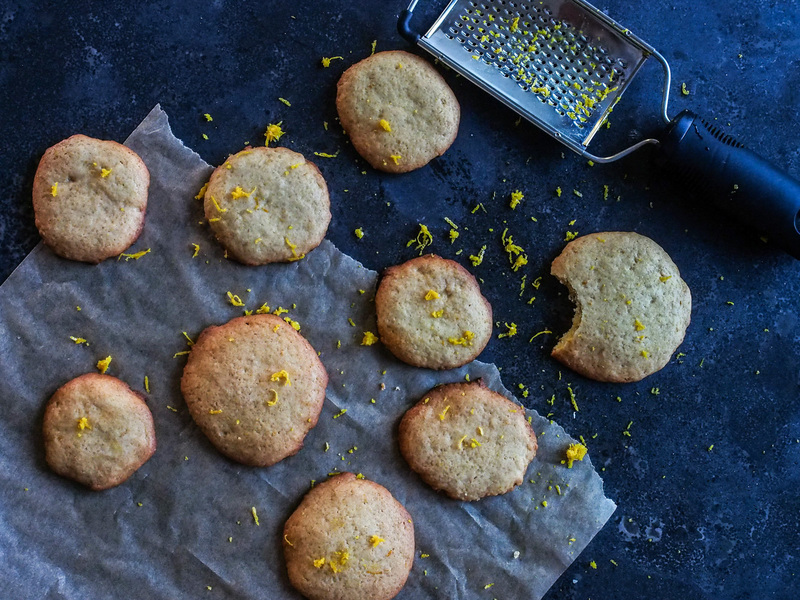 Miso Orange cookies are a good example. I prepared these for National Dessert Day and took them to this ranch my friends and I had rented for a weekend in Ojai. The ranch was complete with a fireplace, billiard, hot tub and a grand garden. There were even a few chickens that had laid fresh eggs out for us. It was the perfect getaway weekend. Note: The miso tastes a lot stronger in the raw batter than it does once the cookies are baked. In a bowl (or kitchen aid) beat miso, butter and sugar in a bowl until creamy. Add egg, orange zest and keep beating until well blended. Add flour and the baking soda, and mix until the dough comes together. Wrap dough with plastic wrap and refrigerate for 30 minutes. Cut the dough in half and shape each half into a 2″ round log. Wrap each log with plastic wrap and refrigerate for 2 hours. Preheat oven to 350°F (180° C). Line cookie sheet with parchment paper. Slice the cookie dough into 1/2″ thick rounds. Place cookies on prepared baking sheet about 1 inch apart (as they will expand a little). Bake for 12-15 minutes then cool on wire rack.